Don't take this title too seriously. It's wrong on multiple levels. Grammatically and scientifically. Nonetheless it fits perfectly for this post. As for grammar amiss - I used Latin root word 'Gravis' which means heavy and it is actually perfect adjective for gravity as we perceive it here on Earth. As for scientific issue, the rest of the title might be all wrong. If we glimpse into features of three main natural forces of the universe, it is obvious that they work in more or less the same fashion - they use carriers or elementary particles to mediate the force through the force field. Photon is one of them and it carries electromagnetism while strong and weak force in nucleus respectively are mediated by gluons and w/z bosons and they are all confirmed in experiments. Gravitons suppose to be the same thing for gravitation force, but they are never found and confirmed either directly or consequently. Ever since Einstein we are having second thoughts about whether or not gravity is acting as a 'normal' force at all or it is something else entirely. Think about this - you are located in the spacecraft far in the space outside of the big heavy planets and stars and truly experience micro-gravity. You starts the engine and your fancy space boat starts accelerating with about 10 m/s and each second increase the speed with 10 m/s more. Actually the right number is 9.806 m/s per second which is measurable 1g force of the planet Earth. In our thought experiment, spacecraft that works in a fashion that always uses constant acceleration and half the journey from i.e. Earth to Mars pushes with 1g and the other half turn around and uses backthrust with the same 1g, could not only provides normal human environment inside the craft but it would be very fast and reach the red planet in just three days*. If you can't imagine how this would be working in real space travel I will only state the name of one fictitious spaceship from the sci-fi literature. 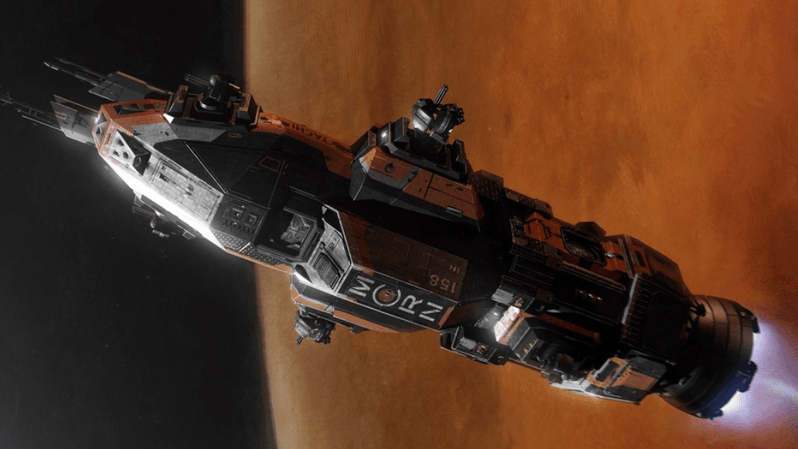 Its name is Rocinante** and it is one great piece of interplanetary corvette from amazing franchise "The Expanse". Well, science fiction aside, the point here is that gravity and acceleration seem to be one same thing. The obvious conclusion in this chain of thoughts is that Earth and Rocinante are both capable of creating gravity of one steady g. At least it looks the same from the observer point of view. However, we know for sure that Earth is round and rotates and no matter where you are standing on, it will pull you toward its center without accelerating anything. Its just enormously big and does something to the very fabric of spacetime itself which is actually pulling you by invoking some mechanism we don't understand yet. Perhaps by using gravitons - our friendly force carriers from the title? Actually both, particle and string theories predict gravitons as a real thing. In former case it is massless boson with spin-2 while in one of the string theories it is sort of closed string with a low-energy vibrational state. I will not go into further scientific details in both theories but it is evident that massless particle or low-energy string is very hard to observe as it either never or extremely rarely interacts with other particles on sub-atomic levels. Let's compare it with neutrinos for a moment, elementary particle with no charge and with tiniest mass we can detect. Their underground large super-awesome detectors like Super-Kamiokande Neutrino Detector in Japan detect only handful neutrino interactions with regular matter over big amount of time. For example, when light from big kaboom from supernova SN1987A reached the Earth, Kamiokande detected the sum of only 19 neutrinos from this super explosion. And to use Carl Sagan terminology there were billions and billions of neutrinos only from that event. Detection of single graviton even if we consider some theories that suggest gravitons with non-zero mass, would be extremely hard. Ever since the Einstein's general theory of relativity, scientists are struggling to find the best description for gravity. If we are looking to it as a fourth natural fundamental force, compared to other three, it is the weakest by far - for example gravity is about 36 orders of magnitude weaker than electromagnetic force and it probably has trivial influence on subatomic particles. However it is cumulative, always attractive and therefore plays the major role in the macroscopic realm, making possible for planets to orbit their stars and it is behind recently experimentally confirmed gravitational waves by LIGO (Laser Interferometer Gravitational-Wave Observatory) experiment. Einstein himself noticed first the difference in behavior of four fundamental forces and spoke of gravity as not 'normal' force per se, but more as fictitious (or apparent) force that is observed only as a consequence of the curvature of spacetime caused by the presence of large masses or energy throughout the universe. Very nice example of one apparent force is Coriolis force or Coriolis effect. It is observed as a force but in reality it is just an apparent deflection of an i.e. object that is moving in the spherical system, such as Earth that rotates. Deflection is caused by the fact that rotating speed of Earth is faster for an moving object located near to the Equator than for the one near to the pole. In simple words the system you are moving in is also in its own motion that must be included when you want to calculate the actual path of yours, otherwise you will never reach your intended target. And in the universe, everything is in motion. Gravity could be just that - an apparent force that is caused by interaction of large moving masses with fabric of the universe itself that might be in its own motion as well. Or perhaps gravity could be the outcome of the interactions of mass with potential energy of that fabric itself. In science fiction and also in quantum science realm, this is known as zero point energy or quantum vacuum zero-point energy or simply the vacuum energy. If I understand this correctly, by applying Heisenberg's uncertainty principle (we can only know position or velocity of a moving particle, but never both), that every quantum system to sustain this principle must have minimum non-zero energy. In case of vacuum, this is minimum energy of all fields in the universe including necessary Higgs field needed to provide existence of every mass everywhere in the cosmos in the first place. In the conclusion of the scientific part of this post, I am hoping that whether the future will confirm gravitons and 'pronounce' gravity as a real fundamental force or we finally find how big masses influence the tiny quantum world of the universe fundamental ingredients, in the end we will have our answers which might bring more challenges and questions for future generations. Maybe even ways of mastering it with applying some ingeniously clever engineering of future gravity related devices and tools. It would definitely be one major breakthrough and one of seven futuristic wonders I already tried to describe in post Global Changemakers. 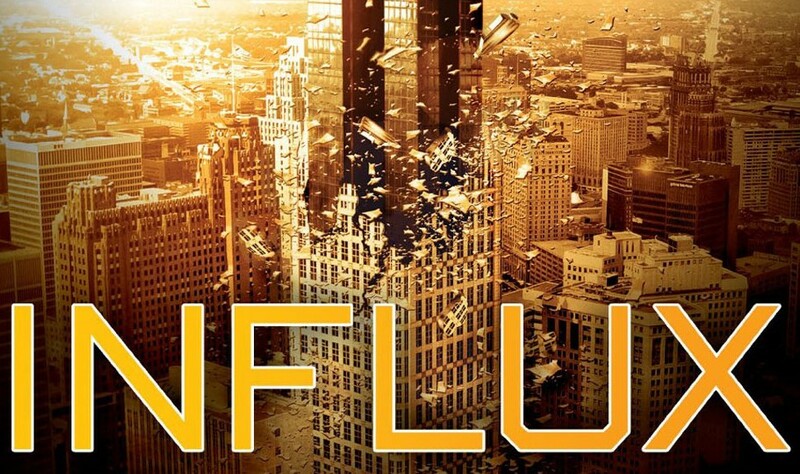 Of course, how exactly the world would be changed with full understanding of gravity and gravity based appliances, perhaps the best vision is in science fiction of the amazing futuristic thriller "Influx" written by Daniel Suarez. I am always eagerly acquiring novels with gravity premises in background if plot teaser is interesting enough, so I bought 'Influx' while ago and stored it into my Kindle's queue for future reading. I was little busy with my work and reading of couple of other novels but now I have this regret of why I didn't read it sooner. It was really amazing! Just exactly comprehensive and entertaining I was hoping for when I saw the book cover in the first place. Science behind gravity mirror or deflector invention in the book is perfect and just in realm of Scifi plausibility I am always looking for. It was explained perfectly well in both science behind the invention and also in workflow of all engineering vehicles, armors, satellites and other appliances that was built on. If you add to the main 'gravity' twist all 'regular' scifi inventions such as AIs, robots, cold fusion, quantum computers, futuristic weapons, immortality and other non-scifi thriller stuff, please believe me that my additional regret after reading this book was that it had only 500+ pages. I wouldn't mind if Daniel added more stories into it and created a sequel. I read somewhere that FOX is interested in the movie and hopefully this will see the daylight in the end. 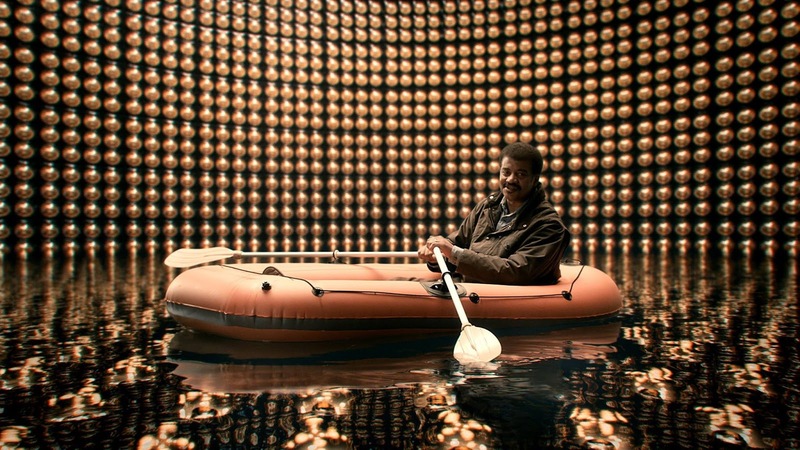 It perfectly fits for motion picture and not just because of the science and story but also because of potential artistic and visual aspect of gravitational falls in all directions that was extraordinary.